I'm Lauren Harris, fantasy author and narrator. I write rich fantasy with complex worlds, diverse casts, lots of magic, and lots of heart. I'm the author of YA Paranormal Mystery series, The Millroad Academy Exorcists, and Contemporary Fantasy series, SPELLHOUNDS. I've authored short stories for the Ministry of Peculiar Occurrences and Pendragon Variety, and I moonlight as an Assistant Editor for Orson Scott Card's Intergalactic Medicine Show magazine. Want to know more? Here's my website! I've been on dozens of podcasts and audio dramas, and narrated my fair share of books for Audible.com. I also have a cat named Jiji, and he has a vested interest in this Patreon campaign. Believe it or not, writing careers are expensive. Since I don't have a six-figure deal with a Big 5 publisher (yet--I'm coming for you, Sanderson) anything I do to support my career--from paying for an eBook cover and audiobook production to buying writing software or attending workshops and conventions--is on my own dime... and my Gringotts vault is more Weasley than Potter. Thanks to my day job, I'm not living from paycheck-to-paycheck, but neither am I, like, saving for retirement. I'd like to do that. Saving for retirement would be awesome. For as little as a dollar a month, you can keep one writer from the purgatory of post-social security America. Come on, do you want me to be a homeless, toothless old lady penning dragon stories on used Arby's napkins and sharing dented cans of tuna with my cat? It could happen. Dear God, click the button. Though my intent is traditional publication, supporters of my Patreon will get access not only to my independent work, but also a peek at old drafts, outlines, sketches, and even readings from WIPs and previous work stashed in the trad pub drawer. The Harris Herald is a (usually) bi-weekly podcast filled with updates and, when I'm producing them, audiobooks and short stories. Though full audio of longer work will not remain in the feed, I intend to produce at least two quality audio short fiction pieces per year in addition to my longer work. A special link will go out to Patrons at the $1 level and above. My monthly Lady Scribe's Salon is exclusive to Patrons and will feature behind-the-scenes info including beta-reader comments, juvenalia, workspace tours, convention lols, process information, interviews, and more. These updates may be text or video, and are available to all Patrons at the $3 level and above. Patrons at the $5 level and above receive eBook copies of all my independent work, and new work at least a week BEFORE they're released. As official members of Scribe's Army, your name enters the Ranks of Thanks on my website. It remains even if your reward level changes. At the $10 level, Patrons join my Privy Council and get the low-down on my Works in Progress, including readings from my rough drafts, character sketches, and work long-since relegated to the "rewrite" drawer. I'll tell you what I'm stuck on, give you early descriptions and character bios, and copies of all my planning/plotting sketches. At this level, patrons will also receive an .mp3 or Audible copy of audiobook new-releases. Dare I hope for $25 a month? Future cat-lady Scribe could buy her kitty a condo. He will roll in catnip. Patrons at this level get PHYSICAL GOODS. Swag. Schtuff. These Patrons receive personalized, signed copies of my new releases, post cards when I travel (from me or one of my characters), handmade bookmarks done in acrylic ink around the Holidays, and the occasional surprise treat (maybe a box of Pocky, maybe a little bag of hand-mixed coffee). No one is going to give me $100 a month. But if you do, I will name a book or story character after you. ALL PATRONS WHOSE CONTRIBUTIONS OVER TIME REACH $100 WILL FIND THEMSELVES LISTED AS GENERALS IN SCRIBE'S ARMY. If you manage to hit $1000? You can be a dragon. And I'm teaching my cat your name. You'll get the link to my bi-weekly podcast filled with updates and, when I'm producing them, audiobooks and short stories. Also access to my AMA Live Casts! Receive eBooks of new releases, including short stories. Your name enters the ranks of thanks in Scribe's Army on my website. It remains, even if your reward level changes. Patrons at this level get the low-down on my Works in Progress, including readings from my rough drafts, character sketches, and work long-since relegated to the "rewrite" drawer. 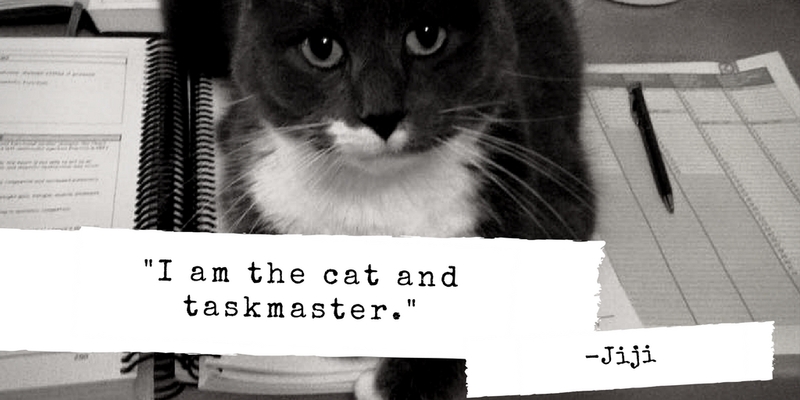 Ever wonder why my twitter handle is Marksmaster? I'll tell you the magic system that spawned it. At this level, patrons will also receive an .mp3 or Audible copy of audiobook new-releases. PHYSICAL GOODS. Swag. Schtuff. Thingses. These Patrons receive personalized, signed copies of my new releases, post cards when I travel (from me or one of my characters), handmade bookmarks done in acrylic ink around the Holidays, and the occasional surprise treat (maybe a box of Pocky, maybe a little bag of hand-mixed coffee). $100/month helps defray the cost of a convention or provides me startup capital toward paying for an audiobook or cover. Once we reach this goal, I will commit to writing one new short story or novelette every four months and producing it in professional audio.